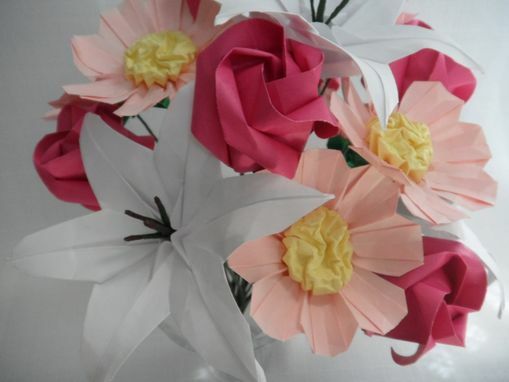 The sweetest gift for your sweetheart – a bouquet of flowers that will never wilt! 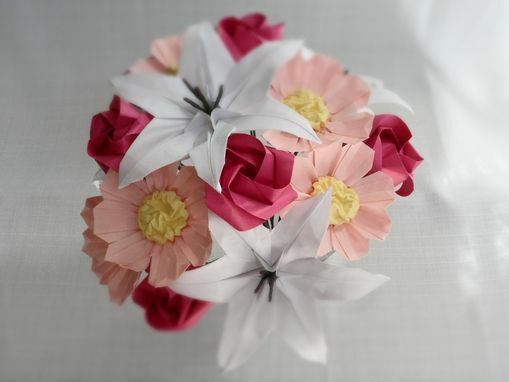 Made of four white Casa Blanca Liles, six baby-pink Cosmos, and six dark pink Kawasaki Roses, this impressive hand-tied bouquet would make a beautiful gift, centerpiece for your home, or wedding bouquet. 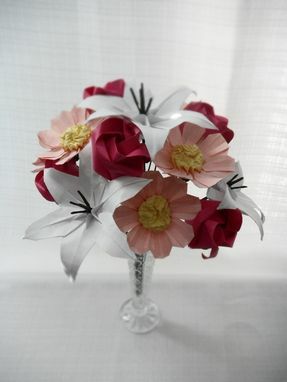 Bouquet is approximately 11" tall, 12" wide, and 24" in diameter. Can be customized in a variety of colors! 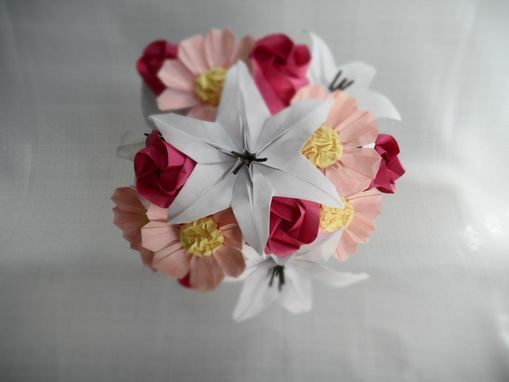 Each flower is carefully folded from a single sheet of paper and arranged, down to the smallest detail, to look as similar to the real flower. 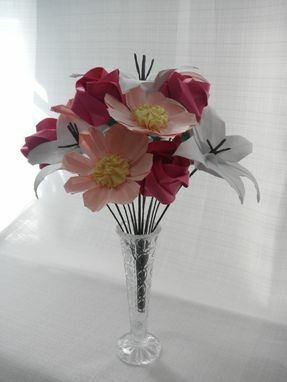 Display as is, or combine with other flowers in your own arrangement. Vase not included.